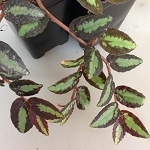 Sometimes called the watermelon vine because of the velvety and richly patterned 1" leaves. 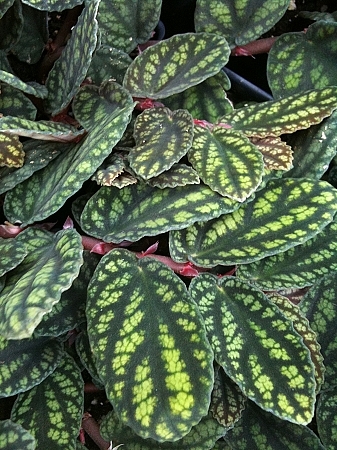 The contrast of the bright emerald green leaf surface and the dark green veins is striking. It is a fast and easy grower suitable for a wide range of conditions.